Malora is a paralegal/office manager for the John Chapman Law Firm, P.A. 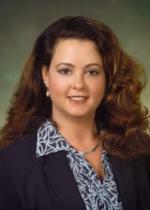 She holds a certification from PACE and is a Florida Registered Paralegal. She has been in the legal profession for over thirty-six years, fourteen of which was in the federal court system. Malora and her husband, Bob, moved to Florida from Chicago eighteen years ago when her husband retired from the FBI. She enjoys ballroom dancing, baking, golf and playing with her dogs. I am a litigation paralegal with Moore Bowman & Rix, P.A. for five years, however I have been in the legal field since 2001. I am a graduate of the University of Florida with a Bachelor of Science Degree, in Telecommunications Management, and Business Minor. In I am a NALA Certified Paralegal since 2013. I received my Advanced Paralegal Certificate from the State College of Florida. I served as a Board Member for our chapter from 2014-2016. From 1996-2005 I served our Junior League of Sarasota; as Public Affairs; State Public Affairs Task Force Chair (SPAC) in 2000 and Marketing/Public Relations Chair in 2001. I am also a past Board Member of Sarasota Alliance for Historic Preservation. My name is Kim Grabbe. I have been a PAF member since 2011. I was born and raised here in Sarasota. I am the senior paralegal in the vaccine department of Maglio Christopher & Toale, PA, where I have worked for 8 years. I graduated from Hodges University in 2008 with an Associates Degree in Paralegal Studies. I received my CP through NALA in 2012 and ACP in 2013. In 2016, I completed NALA’s 12-month Leadership Enhancement and Preparation Program (LEAP) in order to help members develop leadership skills to be used at the local, state, and national level. I currently serve as a committee member for NALA’s Professional Development Committee and the State College of Florida’s Paralegal Studies Program Advisory Board. Prior to becoming a paralegal, I worked for the Sarasota Sheriff’s Office for 10 years, in the 9-1-1 center where I served as a supervisor, Emergency Medical Dispatch Quality Assurance officer, and Training Officer. When I’m not at work I enjoy time with my family, my two fur babies and the occasional half marathon or adventure race. I look forward to serving all of you ! © 2019 Suncoast Chapter. All rights reserved.